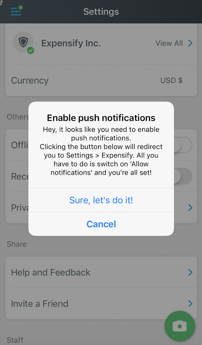 You'll need to make sure that you have push notifications enabled in order to be eligible for Expensify This, as well as to stay on top of any prizes you might win! Below are directions on how to accomplish this with both iOS and Android devices. 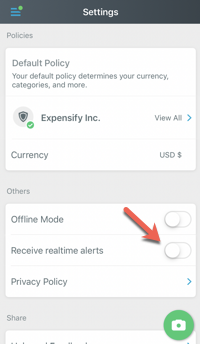 Tap the 3-bar menu icon in the upper left corner of the app > Settings > Slide on the button for "Receive realtime alerts". 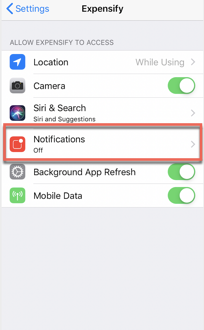 You'll then be prompted to Enable push notifications via your iPhone settings. Tap "Sure, let's do it!" You'll be redirected to your iPhone's settings page. Tap Notifications. 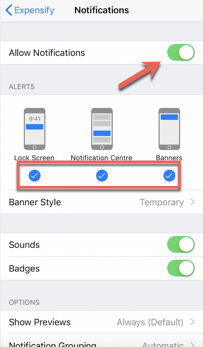 Make sure Allow Notifications is turned on, and you select all 3 types of alerts to ensure you don't miss anything! Different Android devices may vary slightly, but you can turn these on straight from your phone's settings. 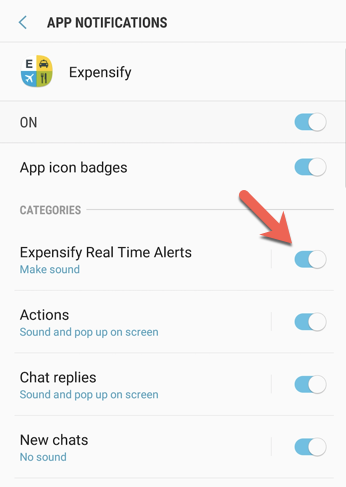 Make sure that Enable Real Time Alerts setting is turned on, and you're all set!